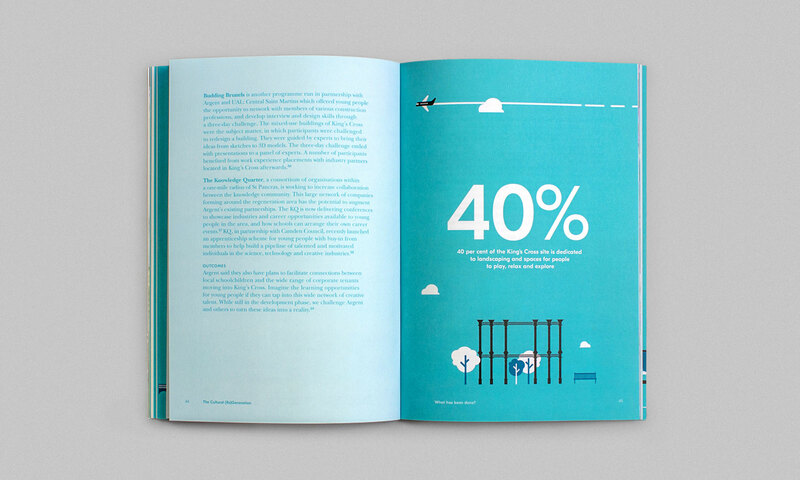 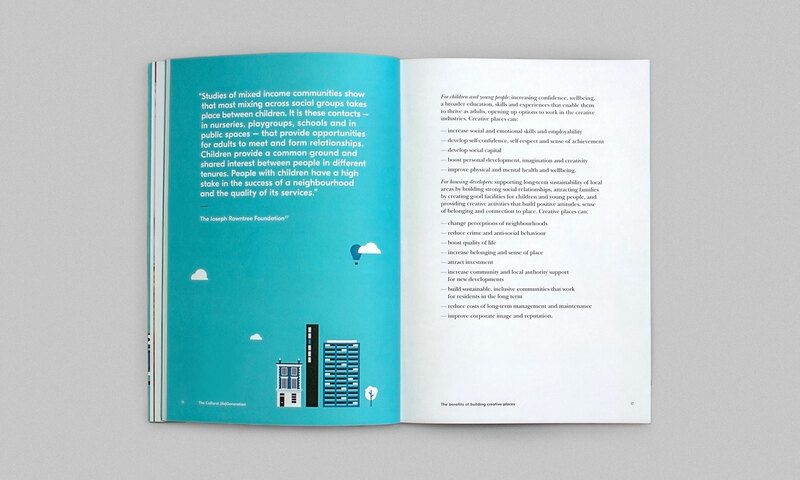 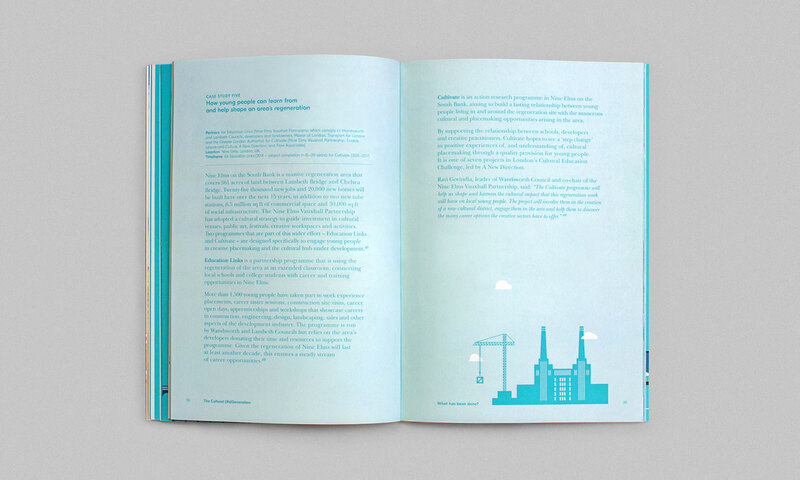 Working with A New Direction, we designed an engaging new publication ‘The Cultural (Re)Generation: Building Creative Places for Young London’. 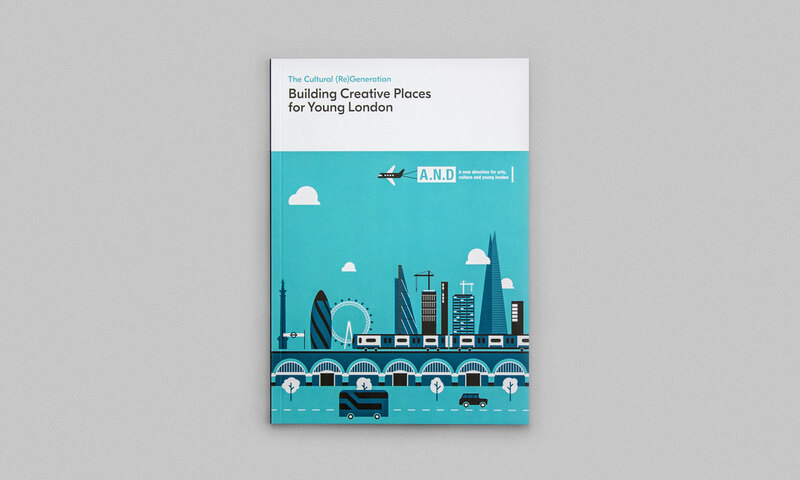 Aimed primarily at an audience of housing developers, councils, community groups, and arts organisations, the report focuses on the role building development plays in creating opportunities for London’s young people to participate in creativity, arts and culture. 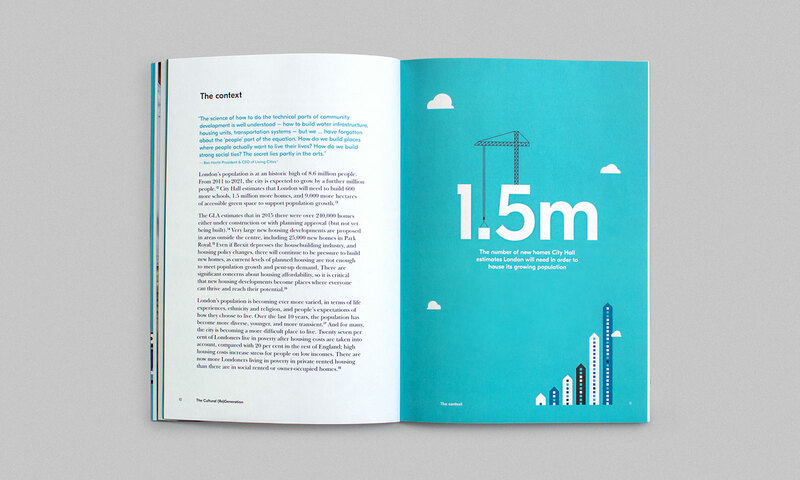 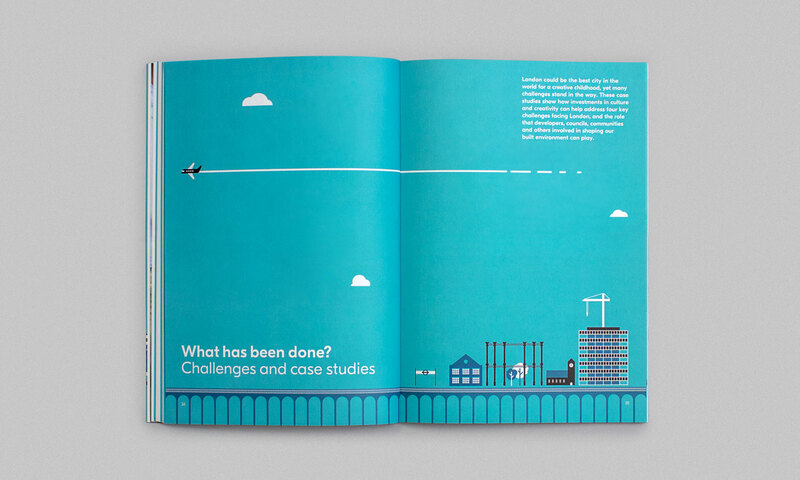 Illustrating a range of London landmarks in-house, we produced a flourishing cityscape spread throughout the publication.